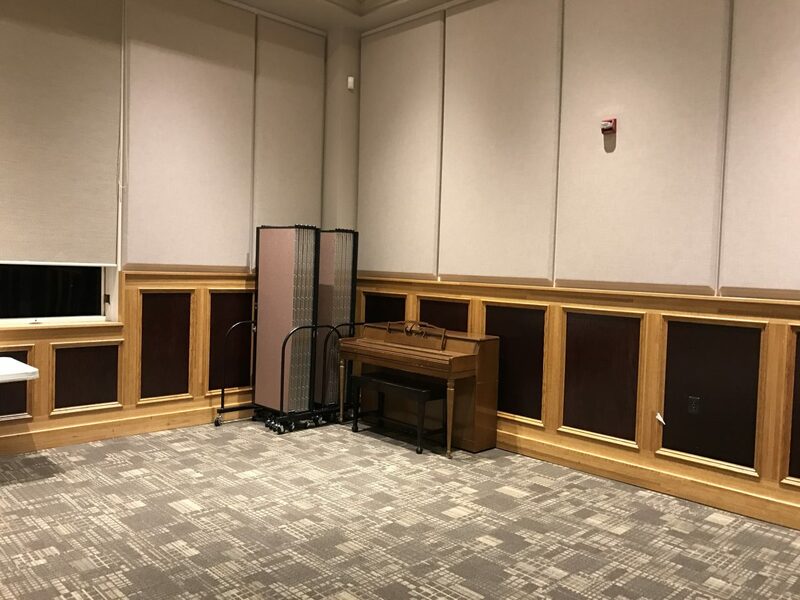 Uses: Banquet Hall, Church, Conference Area/Meeting Room, Fellowship Hall, Multi Purpose Room, Religious Colors: Browns/Tan/Beige Lengths: 11 panel 20'-5" Heights: 6'-0"
Serving the largest Slavic community on the east coast requires flexible space. The church has numerous ministries: five choirs, musical band, musical groups, Sunday school and Missionary Department. The church is also experiencing a growth in youth, teen and children’s ministry. Slavic Pentecostal Church is also home to the Christian General Education School and the department of the Russian language. The architecture design of this facility lends itself to hosting large groups of people in banquet sized rooms. However, the church has discovered the need to break down the massive rooms into more intimate spaces to accommodate the needs of their growing ministries. Church leaders turned to Screenflex for help to accomplish their goals. 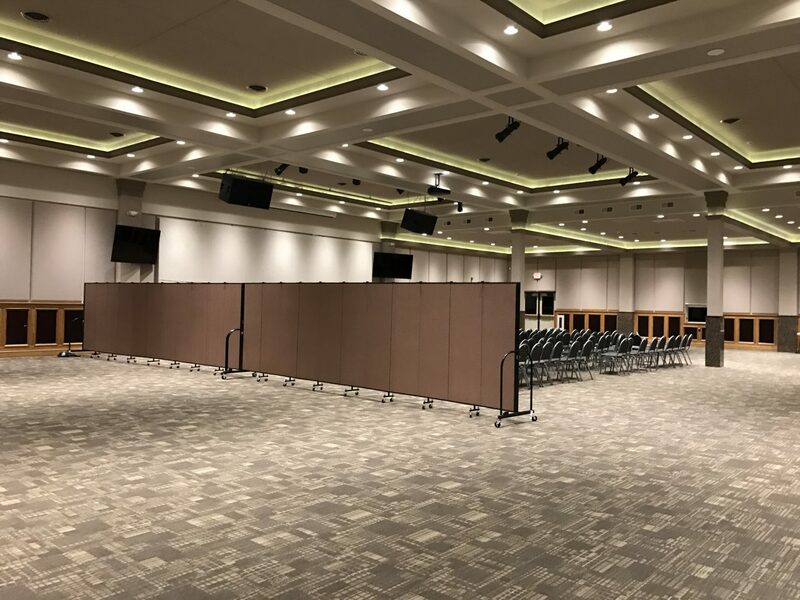 With the help of two 6′ tall church folding partitions, leaders are able to roll the dividers into place to create a smaller space. A multi-unit connector secures the two dividers together to create one continuous wall. The fabric panels absorb sound in the large space as well. When not in use, portable partitions store compactly together.